New Delhi : A woman open fired with a 9 mm handgun at YouTube's headquarters, injuring several people before committing suicide has been identified by the police. Take a look at the recent development of this shocking incident that took place on Tuesday. Police has identified the accused woman who created chaos in the YouTube campus. The woman has been identified as Nasim Najafi Aghdam. She was 39 years old, is believed to have carried out the attack because of a domestic dispute, officials said. The authorities said terrorism did not appear to be a motive of the accused. The shooter used a 9 mm handgun for open firing in the headquarter area. Authorities mentioned that Aghdam who lived in the San Diego area, had previously claimed in a video that YouTube "discriminated and filtered" her content, according to NBC Bay Area. 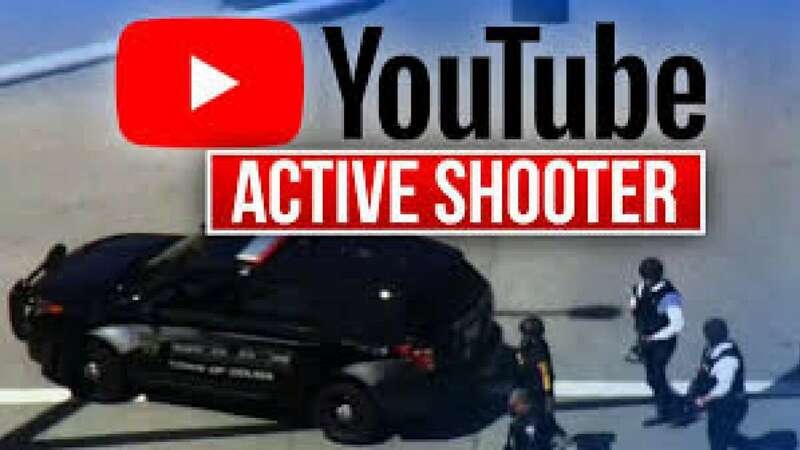 Police chief Ed Barberini of San Bruno city, 19 km from San Francisco, said the suspect, a female shooter, appeared to have shot herself after injuring multiple people at the campus of the YouTube facility. Google the parent company of YouTube, issued a statement, saying that "We continue to actively coordinate with local authorities and hospitals. Our security team has been working closely with authorities to evacuate the buildings and ensure the safety of employees in the area". Four people were injured in the YouTube shooting: "We have a 32-year-old female who is in a serious condition, a 27-year-old female in a fair condition, and a 36-year-old male in a critical condition," KPIX 5 TV quoted Brent Andrew, spokesman for Zuckerberg San Francisco General Hospital, as saying. The incident took place in an outdoor cafe at the YouTube campus in San Bruno in the US, which provides shelter to at least 1,700 employees. US President Donald Trump said, "our thoughts are with everybody involved". In a tweet, Trump said he had been briefed on the shooting at the YouTube headquarters. The best information we have is that the situation is contained. We are very actively monitoring and working with local authorities and hospitals. It's with great sadness that I tell you - based n the latest information - four people were injured in this horrific act of violence. We're doing everything we can to support them and their families at this time. I'm grateful to everyone inside and outside the company for the outpouring of support and best wishes. I am especially thankful to the first responders and our own security team who acted so quickly to keep people safe. I know a lot of you are in shock right now. Over the coming days, we will continue to provide support to help everyone in our Google family heal from this unimaginable tragedy. Reporters mentioned that they have seen helicopters and police SWAT teams on the spot.